With events ranging from fully-staged, professional dance and theatre productions to scholarly lectures on art and architectural history, the College of Charleston School of the Arts offers numerous public arts experiences for well-seasoned patrons and curious novices alike. Throughout the academic year, the school presents a robust season of CofC Concerts, arts management sessions on navigating the music industry, theatre + dance performances, studio art exhibits and lectures, historic preservation/community planning lectures, plus the Halsey Institute of Contemporary Art’s unique exhibitions, lectures and films. View our spring arts calendar for a listing of this semester’s arts opportunities. 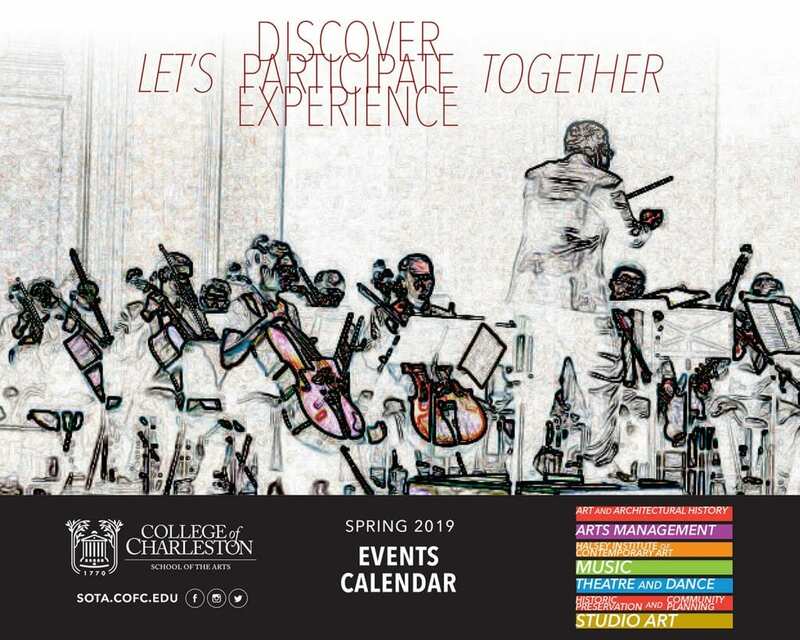 Events are added as the semester progresses, so be social with the School of the Arts for the latest news.